Surveying the years of public service that prepared Coolidge for the Presidency, Robert A. Woods, in his instructive book on the thirtieth president, reminds us how extensively trained Coolidge was in statecraft. Very few chief executives can lay claim to as broad a span of experience in local, state and national governance as Calvin Coolidge. Yet, through it all he retained an enduring sense of perspective toward himself and the specific duties of each particular office. As Coolidge transitioned from a state legislator to executive leadership in the Massachusetts Senate and from there to Lieutenant Governor, Governor, Vice President and President, he continued to adjust to the constitutional limits of the role. It was all grounded in his respect for and grasp of the office he held. The powers of government were separated for an incontrovertible reason. The powers of making law and enforcing them were not safe in the hands of one man, even if he was that man. The people’s liberties were safeguarded by limiting the reach of each branch and assigning powers not easy to consolidate by any single group or individual. 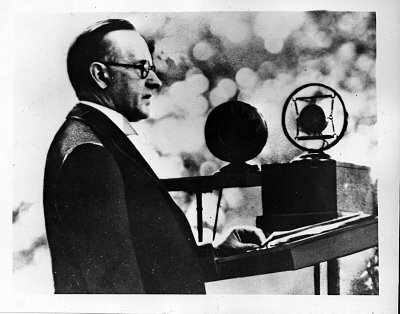 In the State House, Coolidge became the best-informed legislator by listening and carefully studying each issue himself. When the time came to act, he was decisive and thorough, gaining a reputation as a master of legislative procedure and vote getting. He not only knew the content of the legislation under consideration but had weighed its consequences on those to whom it would apply. It is a measure of scrutiny all but missing in legislators today. When the time came to direct the Senate, he did so with complete command not through coercive tactics, for that was not his way. He led by understanding his task fully, applying what he had learned with political acumen and exemplifying service. When others paraded their abilities to influence men, Coolidge demonstrated what he expected and let the actions do the talking. 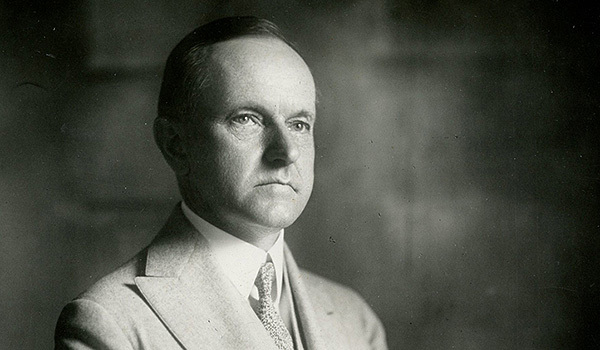 As he moved upward in executive responsibilities, Coolidge continued to observe and learn. He saw firsthand the effects of excessive legislation. He began to speak up on the detriments of passing laws without giving enforcement time to catch up. It also became increasingly clear that executive power carries even greater limits than legislative authority. It was not up to the President or Governor to drum up votes for his own array of proposals and add to the excess of laws pressing down on the people. It was part of the Framer’s deliberate design that wisely diffused power into co-equal, yet distinct, branches of government. The President was not to fill in with his own preferences what was lacking in the laws either. He was bound by oath to enforce even the laws with which he did not agree, from prohibition in the Volstead Act to the Japanese exclusion in the Johnson-Reed Act. The Congress could not always see the impact of what was being passed nor could it execute legislation without the President’s authority. Both had to work toward laws that would protect what was good for all citizens, not a few preferred above others. This principle took immense self-discipline to an extent that no Roosevelt or Wilson would have easily held to it. It was too tempting for Presidents to be legislator-executives. Coolidge restored the Framer’s balance and showed it can work when tried. As Coolidge continued to be prepared in proper administration, he came to see ahead of Congress, as his Vice President, Charles Dawes, would point out. He would recognize the appropriate powers of Congress to craft laws but he was equally as determined to protect the powers of the President, as his victories over the removal of Cabinet officials, full exercise of the veto, and foreign affairs bear out. But we are told that he has fallen short because Congress has so little followed his lead…One sort of man might have sought to utilize on a large scale the leverage of government patronage; another might have thrown the gauntlet to Congress as a whole, and to recalcitrant Republicans, whether radical or conservative. Neither of these methods goes with Mr. Coolidge’s type of leadership; and no one can say that either would have been more productive of results…In the conflict with Congress, he acted throughout on the basis of the principle which was well-established in his mind by experience, that in a disagreement between the legislature and the executive, the latter is always at a great advantage with the public… (pp.268ff). 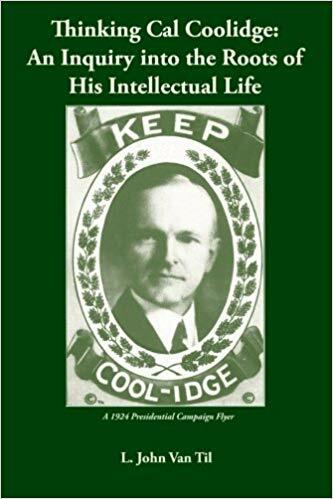 But it is not difficult to see in Mr. Coolidge, amid all the administrative complexities of his office and all the pressure of material demands upon him, his strong characteristic tendency toward what will advance the higher well-being of the Nation. Coolidge understood that executive power, used sparingly and with respect for its limits, ensured the full weight of its authority was not dispensed at every press conference or public appearance. Such would only undermine and dilute the potency of Presidential authority. If every utterance was heralded as a monumental event or an historic agenda-setting occasion, it would only impair executive power and cheapen its moral credibility. To Coolidge, the enforcement of the “moral relationship of things” was paramount to the President’s role. Any personal sense of importance or superiority was immaterial. It was not his greatness involved here but it was the sacred trust laid upon the Office that was to honor, protect and maintain the moral precepts of the people from whom he was chosen, merely first among equals (Johnson, “Why Coolidge Matters,” chapter 5). He was not at liberty to supplant those principles with his own notions of “morality.” To do so would squander that inheritance making one unfit for the Office and a threat to the health of a republic.